Meagan Massey is a Meteorologist at KCEN-TV in Temple, TX specializing in the area of meteorology and enterprise reporting for weather. 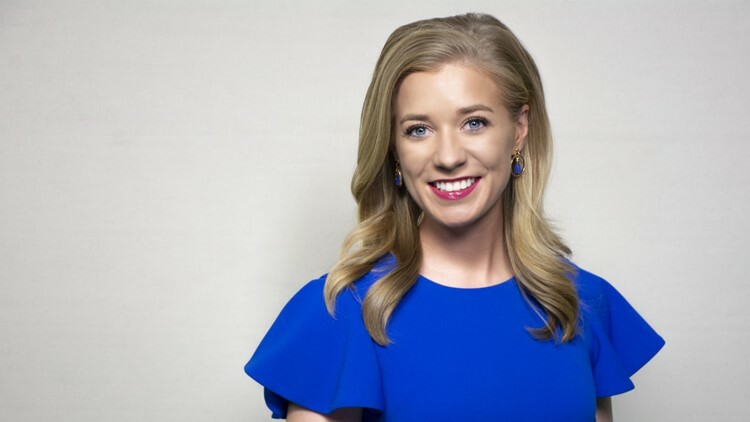 Meagan joined the KCEN Weather team in May 2016 and is now the Texas Today meteorologist. Meagan is a Dallas, Texas native who is no stranger to forecasting weather across the Lone Star State. In fact, her neighborhood was struck by the Sunnyvale-Garland-Rowlett EF – 4 tornado while assisting the WFAA Weather Team with severe storm coverage. Before moving to Central Texas, Meagan earned her Bachelor of Science in Geosciences with a concentration in Broadcast Meteorology from Mississippi State University. Over the years, Meagan has been recognized for her involvement and hard work in the field of meteorology. She recently received the Harold Taft Scholarship in 2015 and held the Presidential position of the East Mississippi Chapter of the American Meteorological Society and National Weather Association. She also volunteers at local disaster relief organizations to help those in need and attends local SKYWARN Storm Spotter training. While attending Mississippi State, she has pursued three internships and launched weather balloons for the National Weather Service in Memphis, Tennessee and the Storm Prediction Center. Meagan has also volunteered with Relay for Life and earned her Girl Scout Gold Award in 2012 after thirteen years as a Girl Scout. In her free time, she enjoys visiting family in Dallas, spending time with her dog, camping, traveling, and watching Mississippi State football. She is a fan of SEC football, the Texas Rangers, and the Dallas Cowboys! Contact Meagan at mmassey@kcentv.com and follow her on Twitter @MeaganMasseyWX and Facebook.